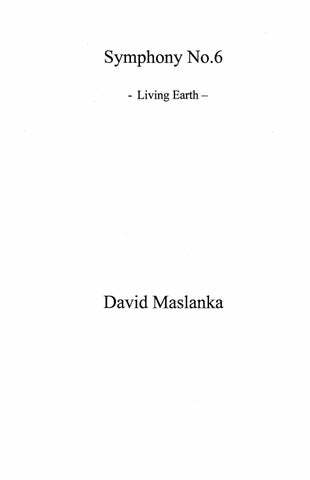 David Maslanka was born in New Bedford, Massachusetts in 1943. He attended the Oberlin College Conservatory studying clarinet with George Waln and composition with Joseph Wood. He studied for a year at the Mozarteum in Salzburg, Austria, and did graduate work in composition at Michigan State University with H. Owen Reed. 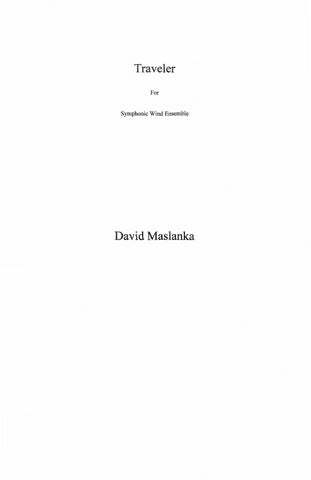 David Maslanka’s compositions have been performed throughout the United States, in Canada, Japan, Australia, and numerous European countries. He received three National Endowment for the Arts Composer Awards, and five residence fellowships at the MacDowell Colony in Peterborough, New Hampshire. 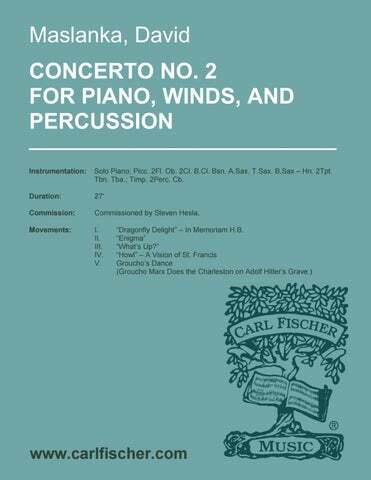 In addition he received grants from the State University of New York Research Foundation, the University of Connecticut Research Foundation, the American Music Center, the Martha Baird Rockefeller Fund for Music, and the American Society of Composers, Authors, and Publishers. His works for winds and percussion have become standard in the wind band repertory. 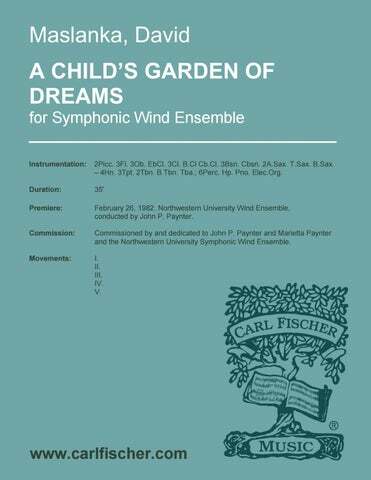 They include “A Child’s Garden of Dreams” for symphonic wind ensemble, “Concerto for Piano, Winds, and Percussion,” and the 2nd, 3rd, and 4th Symphonies. Percussion works include “Arcadia II: Concerto for Marimba and Percussion Ensemble,” and “Montana Music: Three Dances for Percussion.” His catalogue also contains a wide variety of chamber, orchestral and choral pieces. 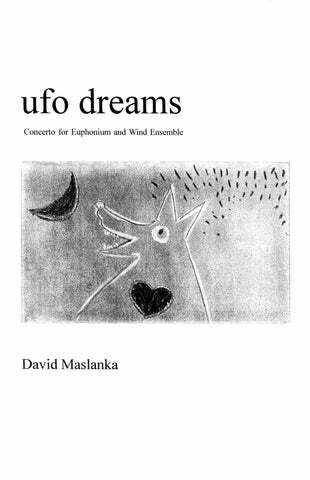 Maslanka’s style is characterized by a blend of heart-felt lyricism and rhythmic drive, coupled with an uncanny and remarkable ear for musical sonorities. Particularly in his well-known and acclaimed works for wind band, the music is notable for its poetry, warmth and spiritual quality. Inspiration is frequently drawn from such fascinating sources as the dreams of a young girl as recorded by psychologist C.G. Jung (“A Child’s Garden of Dreams”), the work of African writer Ahmadou Kourouma (“Tears”) and the poetry of Richard Beale (“A Litany for Courage and the Seasons”, “Mass”). 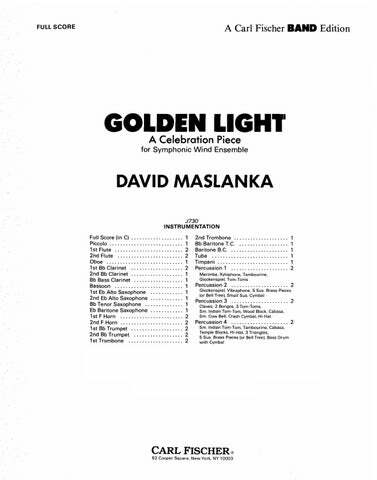 Maslanka’s works have been recorded on the CRI, Mark, Crest, Umass., Novisse, Klavier, Cambria and Albany labels. He served on the faculties of the State University of New York at Geneseo, Sarah Lawrence College, New York, University, and Kingsborough Community College of the City University of New York. He lived in Missoula, Montana until his passing on August 6, 2017. 35:00 picc. (2), fl. (3), ob. (3), Eb cl., cl. (3), b.cl., cb.cl., bsn. (3), a.sax. (2), t.sax., b.sax. ; hn. (4), tpt. (3), tbn. (2), b. tbn., tba. ; perc. (6), hp., pno., elec. org. A Celebration Piece 8:00 picc., fl. (4), ob., cl. (4), b.cl., bsn., a.sax., t.sax., bar.sax. ; hn. (4), tpt. (4), tbn. (2), bar. (TC/BC), tba. ; perc. (8), timp. For Symphonic Band or Wind Ensemble 13:00 picc., fl. (3), ob. (2), cl. (3), b.cl., ca.cl., bsn. (2), a.sax. (2), t.sax., b.sax. ; hn. (4), tpt. (3), tbn. (3), bar.hn., tba. ; cb.(opt. ), timp., perc. (4), pno. 13:00 picc., fl. (2), ob. (2), Eb cl., cl. (2), b.cl., cb.cl., bsn. (2), a.sax. (2), t.sax., b.sax. ; hn. (4), tpt. (3), tbn. (3), b. tbn., bar.hn., tba. ; cb., timp., perc. (4), org., pno. 35:00 picc. (2), fl. (2), ob. (2), Eb cl., cl. (3), b.cl., cb.cl., bsn. (2), cbsn., a.sax., t.sax., b.sax. ; hn. (4), tpt. (2), cor. (3), tbn. (2), bar.hn., tba. ; perc. (5), pno. 49:00 picc. (2), fl. (2), ob. (2), eng.hn., Eb cl., cl. (3), b.cl., cb.cl., bsn. (2), cbsn., a.sax. (2), t.sax., b.sax. ; hn. (4), tpt. (3), tbn. (3), b. tbn., bar.hn., tba. ; cb., timp., perc. (4), pno. 27:00 picc., fl. (3) (3rd dbls. a. fl. ), ob. (3), Eb cl., cl. (3), b.cl., cb.cl., bsn. (2), cbsn., a.sax. (2), t.sax., b.sax. ; hn. (4), tpt. (3), tbn. (3), b. tbn., bar.hn. (2), tba. (2); cb., timp., perc. (4), hp., pno., org. for Wind Ensemble 35:00 picc., fl. (2), ob. (2), Eb cl., cl. (3),b.cl., cb.cl., bsn., a.sax. (2), t.sax., b.sax. ; hn. (4), tpt. (3), tbn. (3) euph. tba. ; perc. (4), pno. ; db. 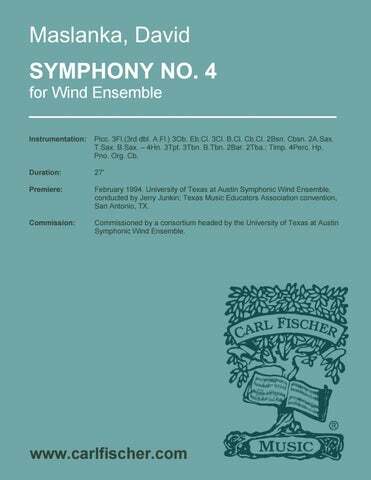 for Wind Ensemble 42:00 Picc. 2Fl. 2Ob. E(Cl. 3Cl. B.Cl. ContraltoCl. ContrabassCl. 2Bsn. Cbsn. S.Sax. 2A.Sax. T.Sax. B.Sax. BassSax. ; 4Hn. 3Tpt. 2Tbn. B.Tbn. Euph. Tba. ; D.B. Timp. 5Perc. Pno. 12:00 picc., fl. (2), ob. (2), Eb cl., cl. (3), b.cl., bsn. (2), a.sax. (2), t.sax., b.sax. ; hn. (4), tpt. (3), tbn. (2), b. tbn., bar.hn., tba. ; cb.(opt. ), timp., perc. (4), pno.(opt. ), cel. 18:00 picc, fl. (3), ob. (2), cl. (3), b.cl., cb.cl., bsn. (2), a.sax. (2), t.sax., b.sax. ; hn. (4), tpt. (3), tbn. (2), b. tbn., bar.hn., tba. ; cb., timp., perc. (4), pno. 45:00 Solo Alto Saxophone; 2Fl. (2nd dbl. A.Fl.) 2Ob. (2nd dbl. E.H.) 3Cl. B.Cl. Cb.Cl. 2Bsn. (2nd dbl. Cbsn.) A.Sax. T.Sax. B.Sax. – 4Hn. 2Tpt. (1st dbl. Picc.Tpt.) 2Tbn. B.Tbn. Euph. Tba. ; Cb. Pno. Timp. 4Perc. 18:00 Solo marimba; picc., fl. (3), ob. (2), (eng.hn. ), Eb cl., cl. (3), ca.cl., b.cl., cb.cl., bsn. (2), cbsn., a.sax. (2), t.sax., b.sax. ; hn. (4), cor. (3), tpt. (2), tbn. (3), bar.hn. (2), tba. (2); vcl. (3), cb. (2), timp., perc. (3), hp. 20:00 Solo piano; fl. (2), ob. (2), Eb cl., cl. (2), b.cl., cb.cl., bsn. (2); hn. (4), tpt. (2), tbn. (2), tba. ; cb., perc., elec. org. 27:00 Solo Piano; Picc. 2Fl. Ob. 2Cl. B.Cl. Bsn. A.Sax. T.Sax. B.Sax – Hn. 2Tpt. Tbn. Tba. ; Timp. 2Perc. Cb. 36:00 Solo Tbn. ; 3Fl.(1dbl. Picc.) 2Ob(E.H.) 3Cl. ContraltoCl. B.Cl. 2Bsn.(Cbsn.) A.Sax. (S.Sax); 2Hn. 3Tpt. Tbn. B.Tbn. Tba. ; Vcl. StrBass. Pno. Timp. 4Perc. 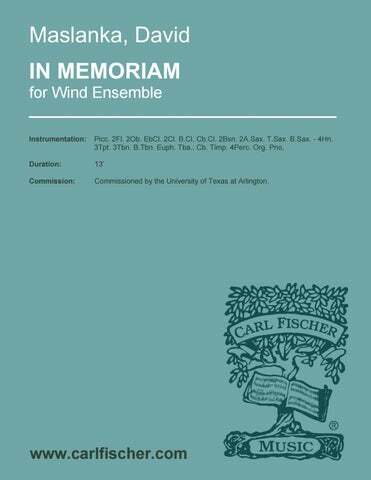 for Solo Percussionist and Wind Ensemble Solo Perc. ; Fl.(dbl. Picc.) Fl.(dbl.A.Fl.) Fl. Fl.(dbl.Bs.Fl.) 2Ob. 3Cl. B.Cl. ContrabassCl. 2Bsn. S.Sax. A.Sax. T.Sax. B.Sax. ; 4Hn. 3Tpt. Tbn. B.Tbn. Euph. Tba. ; D.B. Hp. Pno. 2Perc. 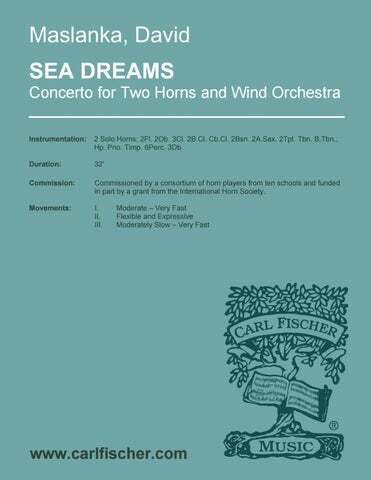 Four Songs for Clarinet and Wind Ensemble 27:00 Solo Bb cl. ; fl. (2), ob. (2), cl. 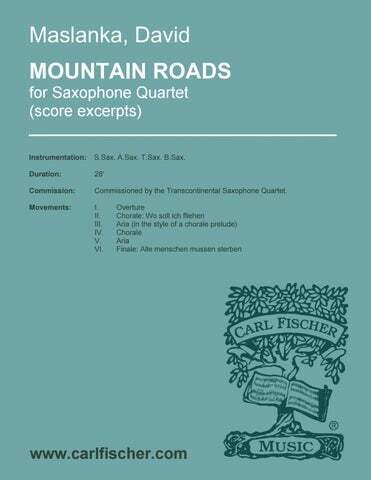 (2), b.cl., c.a.cl., bsn(2), s.sax., a.sax., t.sax, b.sax. ; hh. (2), tpt. (2), tbn.,(2), euph., tba; timp., perc. (5), hp., pno. ; db. 17:00 Solo alto, tenor, baritone saxophones; picc., fl. (2), ob. (2), cl. (3), ca.cl., b.cl., bsn. (2), a.sax. (2), t.sax., b.sax. ; hn. (4), tpt. (3), tbn. (2), b. tbn., bar.hn., tba. ; cb., timp, perc. (4), pno. 32:00 Solo horn (2); fl. (2), ob. (2), cl. (3), b.cl. (2), cb.cl., bsn. (2), a.sax. (2), tpt. (2), tbn., b. tbn. ; cb. (3), timp., perc. (6), hp., pno. 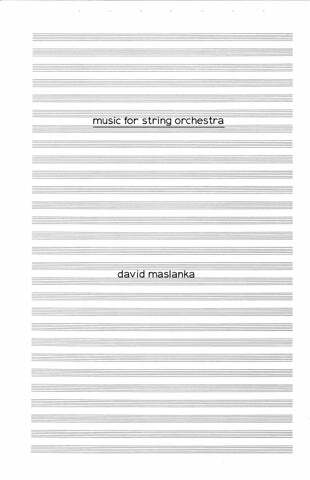 for Orchestra 16:30 3(Picc.) 2 3(B.Cl. / Cl.2 dbl. S.Sax.) 2 – 4 2 2 1; Timp. 2Perc. Pno. Hp. Str. 40:00 3(Picc.) 3(dbl. E.H.) 4(EbCl., B.Cl.) 3(Cbsn.) – 6 3 4(B.Tbn.) 1; Timp. 3Perc. Pno. Hp. Str. 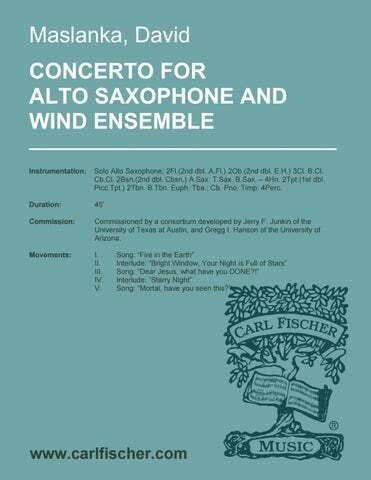 (Arrangement of the Concerto for Alto Saxophone and Wind Ensemble) 45:00 Solo Alto Sax. ; 2(1st dbl. AltoFl.) 2(2nd dbl. E.H.) 4(B.Cl.) 2(2nd dbl. Cbsn.) – 4 3 3(B.Tbn.) 1; Timp. 4Perc. Str. 14:00 1 1(dbl. E.H.) 0 0 – 1 1 1 0; 7Perc. Str. 35:00 3(dbl. Picc.) 3 4(B.Cl.) 3(dbl.Cbsn.) – 4 3 3 1; Timp. 3Perc. Pno./Cel. Hp. Str. 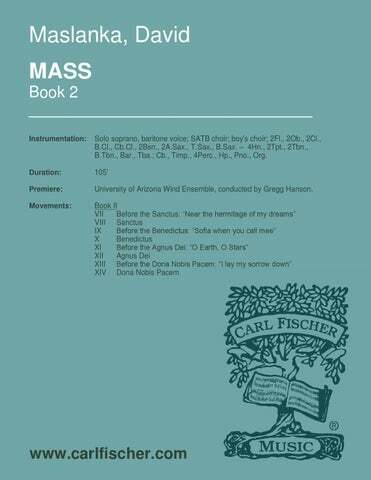 Six songs for chorus 25:00 SATB chorus; cl. ; vib. 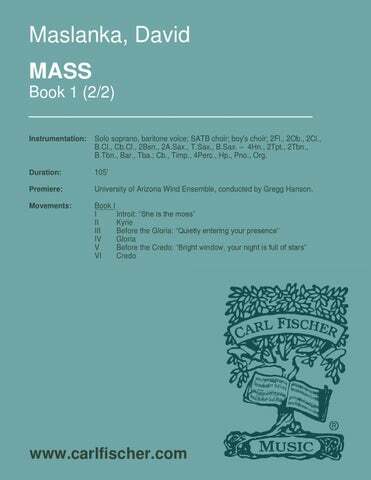 1:45:00 Solo soprano, baritone voice; SATB choir; boy’s choir; fl. (2), ob. (2), cl. (2), b.cl., cb.cl., bsn. (2), a.sax. (2), t.sax. b.sax. ; hn. (4), tpt. (2), tbn. (2), b. tbn., bar.hn., tba. ; cb., timp., perc. (4), hp., pno., org. 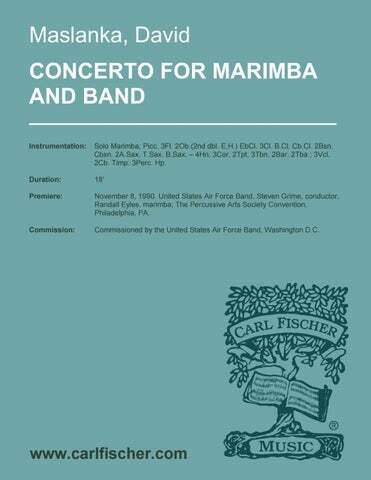 Concerto for Marimba and Percussion Ensemble solo marimba, 6perc.